This watch is Hanhart's largest Pioneer single button chronograph with a case size of 45 mm. It is also the newest addition to the Pioneer Collection. 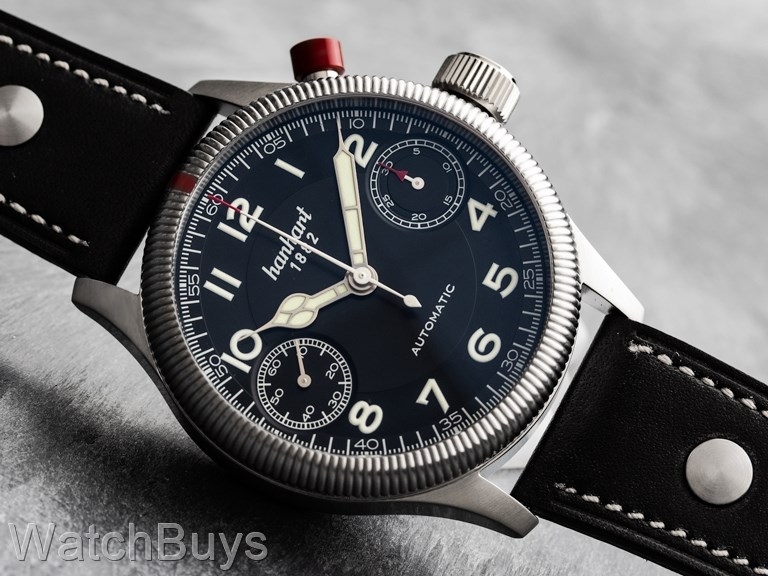 As in their other larger watches, Hanhart has taken the time to modify the movement to correctly space the chronograph registers to the case size. 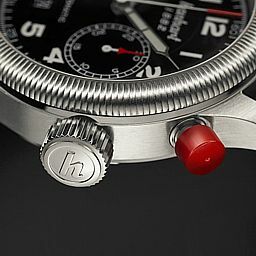 These modifications, as well as those to create the single button chronograph function are developed and produced under the supervision of Hanhart's watchmakers by La Joux-Perret. Even today Hanhart continues to produce in-house the movement modifications necessary to incorporate the single button function by using an erosion machine to modify the contour of the cam. Another Hanhart movement modification is the increased spacing between the pusher and the crown to improve ease of use.